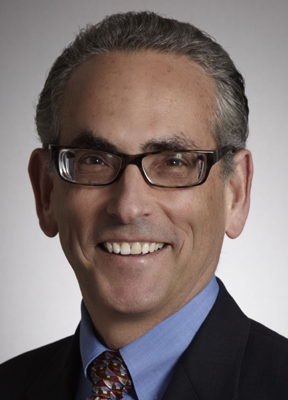 Morrison & Foerster announced that longtime partner and practice leader Paul T. Friedman has been named its first managing partner for Europe. Mr. Friedman, a securities, antitrust and white collar litigator with a global practice, will be responsible for developing and implementing a growth strategy for the region and enhancing coordination among the firm’s London, Brussels, and Berlin offices with MoFo’s 14 other offices throughout the United States and Asia. Mr. Friedman will be based in London. MoFo Chair Larren Nashelsky said: “We’ve created this new role to build on our successes in Europe and support our commitment to growth in the region, including most recently the addition of our new office in Berlin. Paul’s knowledge of Morrison & Foerster is unsurpassed. He has served in numerous firmwide leadership positions during his three-plus decades here while growing a vigorous global litigation, investigations and compliance practice. In his 32 years with the firm, including 28 as a partner, Mr. Friedman has held numerous leadership positions, including co-chairing Morrison & Foerster’s FCPA + Anti-Corruption Task Force, which he also founded; chairing the Litigation Department; and serving on the Executive and Partner Compensation Committees. He is also the chair of the Morrison & Foerster Foundation, one of the oldest law firm-affiliated charitable foundations in the United States. “The establishment of this new position follows the 2012 appointment of Eric Piesner as the managing partner for Asia, who has been very successful in continuing to propel MoFo’s growth and market leading position in Asia,” added Mr. Nashelsky. Trevor James, Rony Gerrits, Jens-Uwe Hinder and Hanno Timner will continue to serve as the managing partners of the London, Brussels and Berlin offices, respectively, working closely with Mr. Friedman. Morrison & Foerster first established its European presence with the opening of its London office in 1980, which has grown significantly in recent years with a broad practice that includes M&A, corporate and capital markets work, as well as technology transactions, privacy and data protection, litigation, restructuring, compliance and investigations counsel. The firm launched its Brussels office in 1991, adding a critical hub in what is regarded as the regulatory capital in Europe. MoFo Brussels lawyers regularly represent clients before the European Commission and EU member state agencies in antitrust investigations, merger filings and data protection proceedings. Our lawyers are involved in many global cartel cases concerning, amongst others, LCD panels, cathode ray tubes, auto parts, secondary batteries, and freight forwarding. In 2013, MoFo opened a 30-lawyer Berlin office that is regarded as one of Europe’s leading M&A practices for technology, media and telecom sectors. In addition to its corporate strengths, the Berlin group handles substantial matters in regulatory, finance, privacy, tax and labor-employment matters. In his practice, Mr. Friedman represents clients in government investigations and enforcement actions, often leading global teams in anti-corruption, cartel, and other matters. He is a sought-after speaker on issues such as the FCPA, cross-border and securities litigation, and internal investigations. He has twice been named to the BTI Consulting Group’s Client Service All-Star Team for consistently delivering superior client service. Since 2007 Mr. Friedman has been included in the Best Lawyers in America guide for antitrust and commercial and securities litigation. A graduate of Yale Law School, Mr. Friedman earned his undergraduate degree at the University of California, Berkeley, where he was Phi Beta Kappa and received the University Medal for most distinguished student in the graduating class.